SYNOPSIS: Navigating through Section 537.065 litigation is complex for both attorneys representing injured victims and the attorneys for insurance companies. When an insurer refuses to defend and indemnify its insured, a 573.065 agreement may be the only means for the insured to obtain protection of his personal assets. While the 537.065 agreement may provide protection for the insured, it often puts the injured victim in an “all or nothing” positions since it limits recovery to any applicable insurance proceeds where an insurer is disputing coverage. At the same time, the insurance company often surrenders its ability to control the underlying litigations and exposes itself to potential bad faith claims. Due to these extreme risks, it is imperative that counsel for both sides understand how to navigate the perils and pitfalls of 537.065 agreements. Smart people do not gamble all of their assets on a single decision. Insurance, in a sense, exemplifies this lesson. Everyone faces risks and losses, but insurance provides the ability to guard against catastrophic financial losses by shifting those risks to an insurance company that specializes in dealing with such losses. But sometimes even smart people who properly guard against risks and losses by purchasing insurance still find themselves facing enormous losses when the insurer claims that coverage does not exist under a particular set of circumstances. Insurance companies also face difficult decisions when an insured is faced with a claim that may not be covered under the policy. In this light, the Missouri General Assembly established a tool to protect the insured party and provide another route to recovery for the tort victim. Section 537.065, or “065 agreements,” allows the tortfeasor whose insurer denies coverage to enter into an agreement with the tort victim. The law is unique to Missouri as no other states have established such a practice by statute. The tort victim agrees not to execute against the tortfeasor’s assets — or limits execution to certain assets. The tortfeasor, while knowing that he will not be held personally responsible, agrees either to settle or compromise the claim or not to oppose the tort victim’s prosecution of the claim at trial. After resolution of the personal injury claim, the victim can then pursue an equitable garnishment claim against the insurance company. At this point, the insurance company generally is limited to disputing only the legal conclusion of whether coverage existed and typically is barred from re-litigating any other aspect of the suit. By their nature, these 065 agreements are perilous for all parties. The tort victim could lose out on all possibility of recovery if the insurer wins the ultimate coverage dispute — because the victim already agreed not to execute against the tortfeasor. On the other hand, the insurance company loses its power to control the defense to the substantive action against its insured once it refuses to defend and the other parties enter into the 065 agreement. In fact, insurers may face even greater liability in these circumstances based on an action for bad faith refusal to settle a claim. As a result, those representing insurers, plaintiffs, or tortfeasors must be able to navigate the questions arising under and around 537.065 agreements. This article will explain the basics of how the agreements work and the history of the enabling statute in Missouri. The article will then offer analysis of other important considerations in the use of these agreements, such as the application of an insurer’s duty to defend, the consequences of the insurer’s offer of a defense under a reservation of rights, the reasonableness requirements, and the implications of an insurer’s bad faith in settlement negotiations. Finally, this article also will explain the options available to an insurer to defend or limit such agreements and provide practical tips for those representing the parties to such agreements and the insurance companies. Stephen R. Bough is a graduate of UMKC Law School, where he served as the editor-in-chief of the UMKC Law Review. 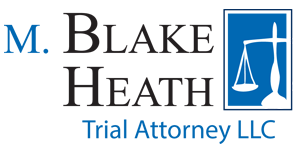 M. Blake Heath is also a graduate of UMKC Law School and served on the UMKC Law Review. Their practice is limited to representing plaintiffs in complex personal injury cases and insurance coverage disputes. Scott Pummell is a recent graduate of UMKC Law School and currently is a law clerk to the Honorable Paul C. Wilson. Scott Lauck, Hay Hauling Case Inspired “Unique Statute”, Missouri Lawyers Weekly, October 15, 2012, at 13. Scott Lauck, Unique Statute Vexes Insurance Companies, Missouri Lawyers weekly, October 15, 2012, at 1.